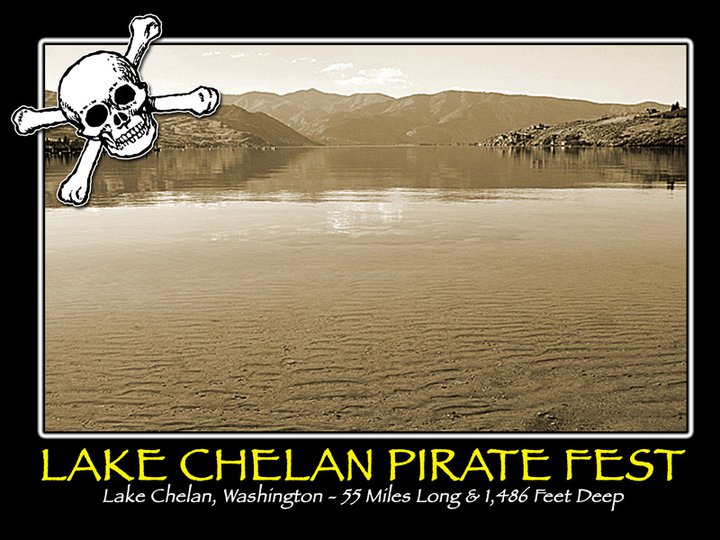 QUESTION: When was the Lake Chelan Pirate Fest Created? ANSWER: The LakeChelan Pirate Fest was created in 2010 and the First Pirate Fest Event was in 2012. QUESTION: What is the purpose of the Event? ANSWER: The Pirate Fest Event was Created to Showcase All that Lake Chelan has to offer. To establish an Annual Family Friendly Community Event to provide Fun Activities for both Local Residents and Visitors to the Lake Chelan Valley. QUESTION: Who puts on the Event? ANSWER: The Lake Chelan Pirate Fest is produced by The Lake Chelan Tourist Center, a Washington Non-profit Corporation. QUESTION: Who is Captain Chelan? ANSWER: Captain Chelan is the Captain of the Lake Chelan Pirates, the Pirates who first arrive in Lake Chelan in 1812. We believe Lake Chelan is named after him. QUESTION: Is the Event a Fundraiser? ANSWER: YES, the Pirate Fest benefits the following Programs: REINDEER DAY & THE LAKE CHELAN SANTA EVENTs and Student Programs in Lake Chelan. QUESTION: How does someone become a Vendor? ANSWER: Vendors can apply here Online. Vendors are chosen if they are event related. QUESTION: Are there Event Fees? ANSWER: Yes, the different parts of the Event have fees to produce the event and to raise Funds for Local Groups. QUESTION: Can I Volunteer at the Event? ANSWER:Yes, the Pirate Fest is always looking for Volunteers to help make the EVent a Success. Volunteers must be 16 or older and earn FREE Event Tickets for Volunteering. QUESTION: Is the 4th of July Fun Run a Timed Event? QUESTION: Can anyone participate in the Lake Chelan Pirate Fest Treasure Hunt. ANSWER: No, You must be 18 or Older to Participate in the Treasure Hunt.